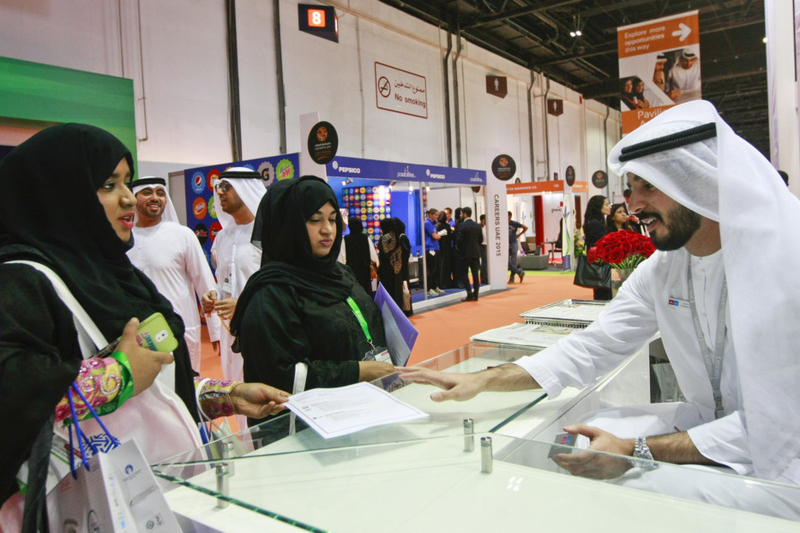 Abu Dhabi: The Ministry of Human Resources and Emiratisation has set a new system for hiring and firing Emiratis in the private sector, which will boost quality job creation and cultivate a secure work atmosphere. A decision signed by Nasser Bin Thani Al Hameli, Minister of Human Resources and Emiratisation, on creating jobs for citizens in the private sector also sets a policy of appraising Emiratis’ performance on the job, firing only on valid reasons, arranging exit interviews and offering support after being sacked. Al Hameli said the decision comes within the framework of a package of policies and initiatives aimed at providing jobs to Emiratis in the private sector, which is the strategic partner of the ministry in implementing its new methodology to deal with the Emiratisation. “The decision launches the stage of empowerment of citizens in the private sector and ensures the provision of an appropriate and stable work environment, which will contribute to enhancing their competitiveness and productivity, in parallel with continuing to accelerate recruitment in the economic sectors to meet targets,” Al Hameli said. “The decision constitutes an integrated system for the work of Emiratis in the private sector in accordance with specific policies and rules, starting with the procedures of joining the available positions through the period of their work in the companies and finally ending their job relationship with these companies,” he said. The employer submits the documents required to obtain the work permit of the citizen, the ministry immediately upon its approval issues a package to the citizen including a work permit and job contract, the duties of work in the private sector, as well as providing guidance and rehabilitation services for citizens who need it through participation in training programs to help them perform the job up to the standards of the labour market. Work permits will then be sent to the General Authority for Pension and Social Security or any local fund or other insurance fund in accordance with the legal regulations applicable in the Ministry. The citizen file shall be updated within six months from the date of approval of the work permit with the participation data in the pension funds. The decision has created a system to submit complaints either by the citizen or the employer through the ministry’s contact centre, the smart application, the website or customer happiness centres. A complaint form is sent to the labour relations department at the ministry to discuss in the presence of both parties and try to sort it out amicably or refer it to the court. The first scenario involves the termination of the service of the citizen is not based on Article 120 of the Labour Relations Regulation Law, which allows the employer to terminate the worker’s services if the worker impersonates a false person, submits false certificates or documents or if the worker breaks the instructions regarding the safety of the work provided that these instructions are written and posted in a visible place and other cases provided for in this article. The second case involves proving that the owner of the company has retained a foreign worker who performs the same work as the citizen whose service has been terminated or if it has been proven that the termination of the citizen’s service was for the purpose of replacing him with a foreign worker to take the same job. The third case is in the event the employer terminates the employment relationship for a reason not related to the work, especially if the termination of the service of the citizen is due to submitting a serious complaint to the competent authorities or to file a lawsuit against the employer. The fourth case is if the employer fails to abide by the regulations of ending the service of Emirati workers. The decision obliges the employer to submit an end of service report to the citizen at the end or termination of the work relationship between the parties, by filling out a special form that includes reasons for ending the relationship whether by the employer or the citizen, including improper work environment, a better career opportunity, and other reasons. According to the decision, if the ministry was certain that the employment relationship was terminated for an illegal reason by the citizen or the employer and was unable to resolve the dispute and return the citizen to his work, the dispute will be referred to the competent court after five working days from the date of notifying the parties involved to resolve the dispute amicably but efforts proved futile. The decision stipulates reducing the level of priority of the citizen in the register of job seekers for a period not exceeding six months from the date of him illegally ending the employment relationship. It also provides for the suspension of issuing new work permits to the company for a period not exceeding 6 months from the date of proving that the citizen had a point in his complaint or the final judgement was in his favour. Under the decision, in all cases of termination of the service of the citizen, the employer must pay its share and the share of the insured (the worker) in the contributions due for pensions and social insurance approved in the country and in any other fund required by the legal systems in force in the ministry. The ministry will re-register the citizen after the end of his service in the register of job seekers as long as he is able to work and willing and seeking the job. The priority in the appointment will be determined in accordance with the qualifications and experience and the circumstances of termination of services. Orientation and training will be provided to Emirati workers who had their services terminated, based on the exit interview to raise awareness of rights and duties, and to support the continuation of the employment relationship upon obtaining a new job opportunity.